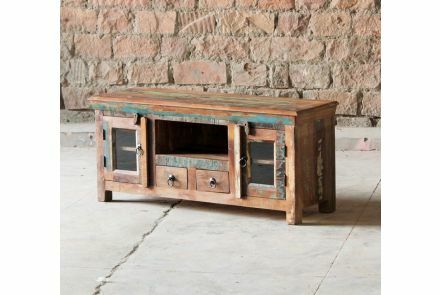 Handmade from recycled wood from old buildings and premises in India, our Rustica Reclaimed TV Unit a stunning piece of furniture. It will be a natural centre piece in your home due to the beauty of the wood and the unique story behind the furniture. 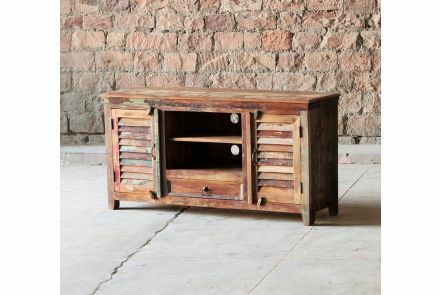 As this small TV Unit has been made entirely from reclaimed wood and melted down metal it is not only an extraordinary piece of furniture in terms of design, it is also environmentally friendly! 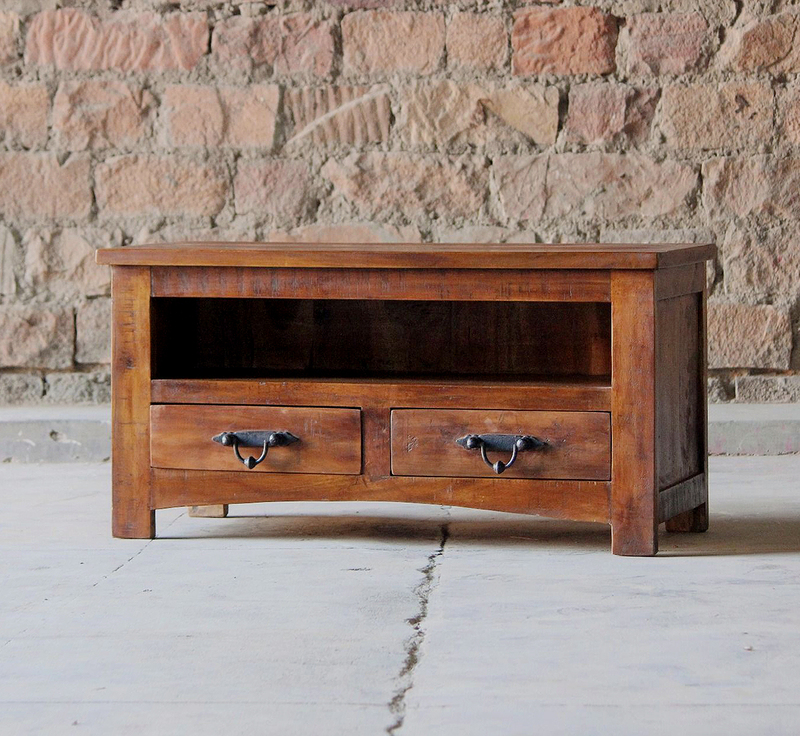 Our Rustica Reclaimed TV Unit is made with high quality in mind and it is built to last you for generations. 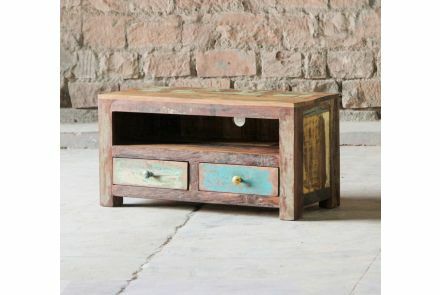 The reclaimed wood gives every TV Plasma Unit a unique appearance due to variations in the colouring and the markings of the wood. 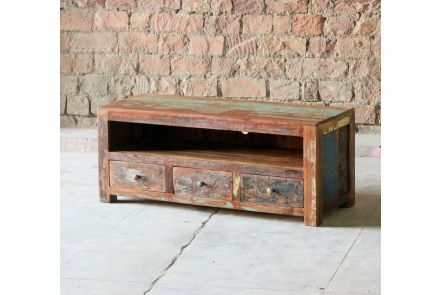 The Rustica Reclaimed TV Unit is therefore a special piece of furniture you will not find anywhere else.